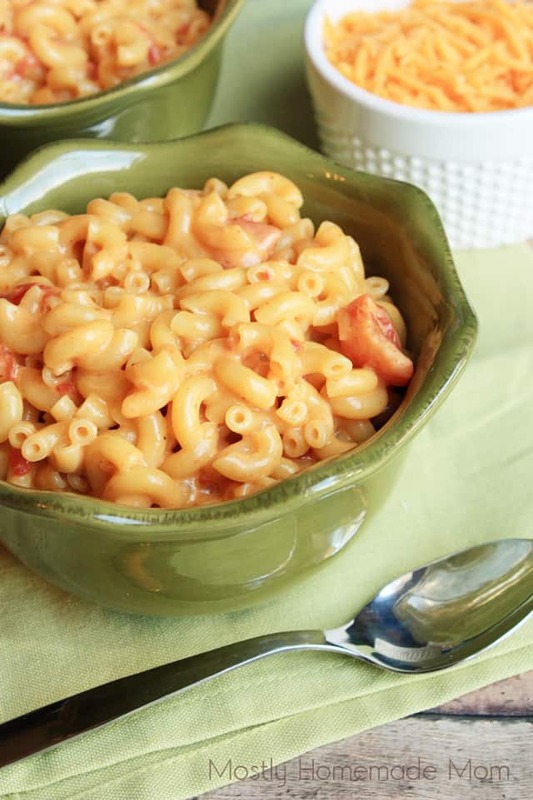 This super easy, stove-top mac & cheese has stewed tomatoes, Monterey Jack and cheddar cheese, taco seasoning, and sour cream. A quick weeknight dinner that’s a instant family favorite! We have a regular rotation of go-to, mindless dinners in this house: tacos, spaghetti and meat sauce, and macaroni and cheese. In case you were wondering, “mindless” dinners are meals that require no recipe or brain power to pull together in a pinch. If you’ve been a reader here for a while, you know how religiously I meal plan and encourage you all to do the same! But I will readily admit, there are those nights where you simply can’t get the energy together to even pull up the recipe for the dinner you had planned. You need something that can come together quick with little thought and the whole family is happy and fed. 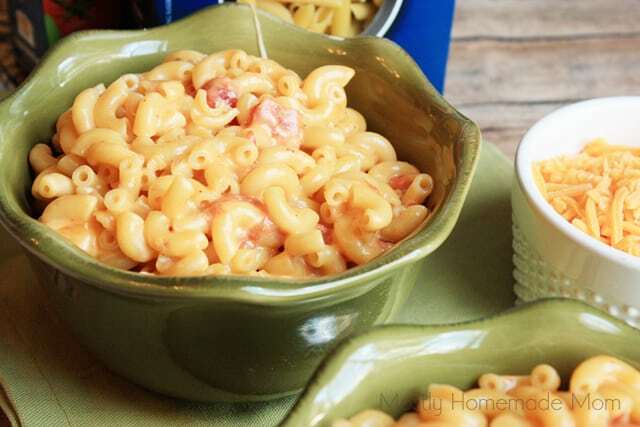 This recipe is just a twist on my favorite simple macaroni and cheese. When I went food shopping this week at Giant Food Stores, I picked up my usual ingredients and then added some others to make it more of a different flavor. 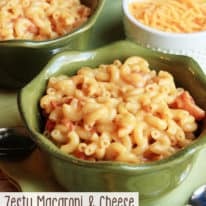 My kiddos just go insane any night I tell them we’re having mac & cheese, and after having them taste test this new version, I’m thinking they’re going to expect this one from now on! It combines some of our favorite zesty taco flavors with classic cheesy macaroni – it’s really a perfect weeknight dinner! This super easy, stove-top mac & cheese has stewed tomatoes, Monterey Jack and cheddar cheese, taco seasoning, and sour cream. A quick weeknight dinner that's a instant family favorite! 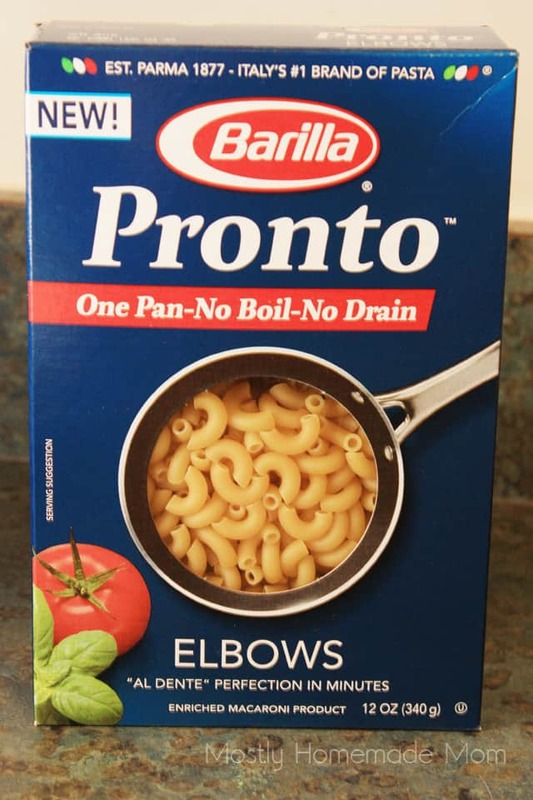 Cook Barilla Pronto Elbows according to package directions. When most of liquid has been absorbed, stir in remaining ingredients. Cook 5 minutes over medium heat or until heated through. 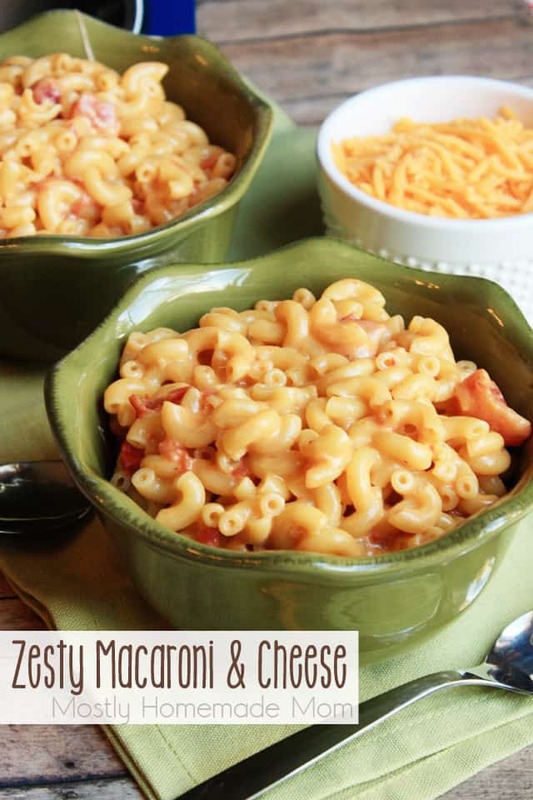 I’m not sure you can have a more simple mac & cheese, and this one is absolutely delicious! I really love how quick Barilla Pronto pasta comes together at dinner time – plus no pre-boiling or draining means less dishes! In my area, Barilla Pronto is available at Giant Food Stores, Stop & Shop, and Martin’s Food Markets. Barilla Pronto Pasta is also available through Peapod! Be sure to follow Barilla on Facebook, Pinterest, Twitter, and Instagram for more yummy ideas. 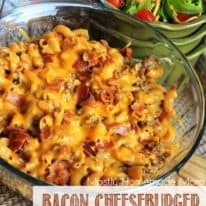 Bacon Cheeseburger Macaroni & Cheese - a budget friendly meal!